CHICAGO (WLS) -- The city clerk vacancy in Chicago has been filled. Longtime public servant Anna Valencia will replace Susana Mendoza, who is now Illinois comptroller. 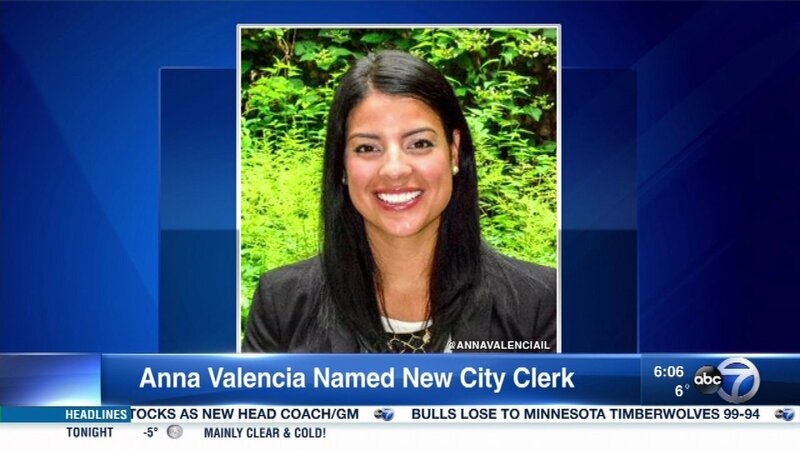 City Council still has to approve Valencia's new role. Until then, she will serve as interim city clerk.